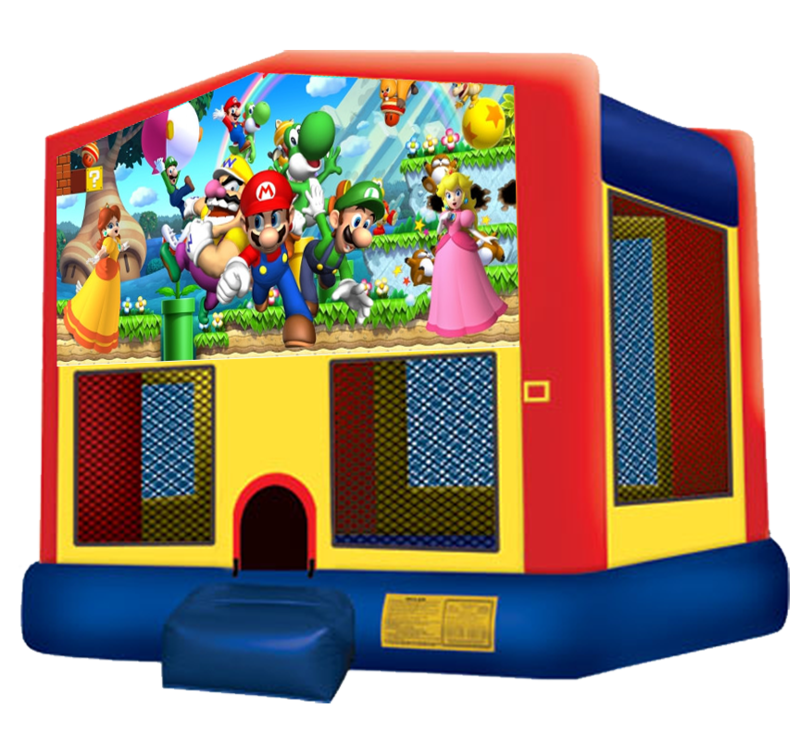 Join Mario, Luigi and the entire Super Mario gang with our Super Mario Bouncer! Beloved video game characters enter the real world and engage your kids in a way that is very different than sitting and playing a video game! 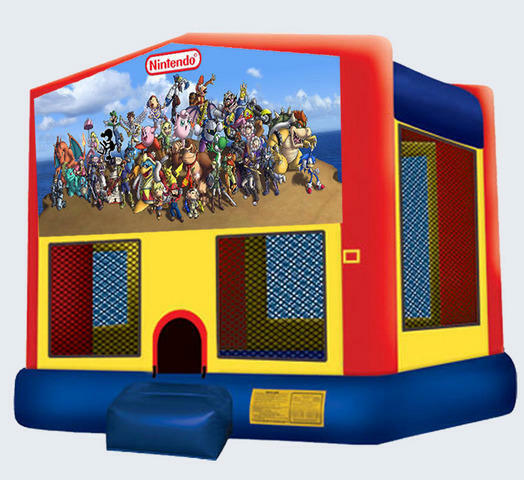 Your kids will appreciate their favorite characters while getting some good old fashioned exercise. CAPACITY: 8-12 participants at one time. An adult MUST be present at ALL times while unit is in use. Need Nintendo Mario themed plates, napkins and party favors? Click here! © Austin Bounce House Rentals, LLC. All rights reserved.